Do you know someone who loves animals? 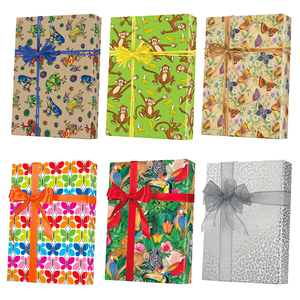 Well give them the perfect gift in this Animal Gift wrap. Choose from elephants, llamas, dogs, monkeys and more! Many sizes available, full ream, ½ ream, cutter box and jeweler's rolls. You will find giftwrap from Jillson Roberts, Shamrock and Sullivan.